Sprint has seen better times. The carrier’s stock has gone down and down, and down, and it seems that every time it hits a deeper bottom. Actually, shares of the carrier plunged just after the iPhone 4S announcement. That initial negative market reaction has subsided by the end of the day and the stock of the Now Network climbed back a bit, but question remains: is the iPhone 4S the much needed lifeline for the nation’s third-largest carrier and its 50+ million subscribers? A couple of weeks ago, we looked into the case of why Sprint stock could be a turnaround stock and the iPhone was the number one swing factor. But first of all, let’s clarify that Sprint is getting not only the iPhone 4S on October 14th, but the iPhone 4 8GB model for $99, which means more diversity and choice for subscribers. On the downside, though, rumors claimed that the carrier has bet the farm, dishing some $20 billion to Apple, trying to secure enough orders to get the iPhone on the Now Network. We don’t know if that’s true, but in either case Sprint has finally gotten the iPhone, the number one reason for customers leaving the carrier in Dan Hesse’s own words. Not just any customers - post-paid subscriptions, the most profitable ones, are declining rapidly, especially looking at the last reported second quarter, and this trimester things are expected to have gotten worse. Captain Hesse plans to patch that leak with the iPhone. Ironically, though, he might have picked the wrong one and here’s why. The iPhone 4S is an interesting device, but it’s disappointing when matched with the high hopes and plentiful rumors. It’s disappointing even when matched with the single biggest hope of a bigger screen. Betting the house on the 4S is hence risky business. It probably would sell well for Apple as the company is offering it on a wide range of carriers including ones that will offer it for the first time like KDDI in Japan. But will it sell well for Sprint? There are plenty of customers that would have loved to switch to iOS earlier, but now Sprint’s Android portfolio is stronger than ever - there is the Samsung Epic 4G Touch, a version of the Galaxy S II, there is the 4G-enabled Motorola PHOTON 4G and there’s the HTC EVO 3D, all with more pure silicon horsepower than the iPhone 4S. 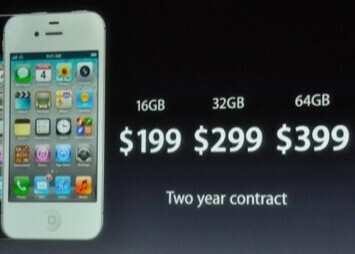 That’s the main gamble for Sprint (especially, if it indeed has bet the house on the 4S) and much less for Apple. Both probably realize that what they offer in terms of hardware only brings Apple on par with current Androids and that’s at best. At worse - Apple is slightly behind as the 4S lacks 4G, a big screen and any redesign that would give it a wow factor. Finally, at worst, the iPhone is out of the smartphone league in a week, if Apple sticks to their (nearly) yearly iPhone release routine and Samsung along with Google push HD screens and solid update to Android with the Nexus Prime. But here’s what’s interesting - while for Sprint this is a risk, Apple sits comfortably on a pile of cash and outstanding user satisfaction. It sits on 93% of big corporations considering adopting the iPhone. It sits on user loyalty. In a way, that’s similar to RIM of old times. Arguably, just like RIM did in the last couple of years (not counting last quarter when it all collapsed), Apple can afford to technologically lag slightly behind for a year while still increasing its sales on those loyalty factors alone. New iPhone adopters (read, a lot of Sprint users) and 3GS users whose contracts start expiring around this time will be tempted to switch directly to the iPhone 4S, which gives Apple a strong base. But finally, we should also account for software. Apple has cemented its ecosystem with iOS 5; the addition of iCloud and Siri is truly novel. This could tip the scales for buyers and turn the iPhone 4S into a lifeline for Sprint, but had the carrier offered it a year earlier, it could have been already saved. Sprint is f*cked. Apple is f*cked. But Apple has enough money to last itself until they reveal the iPhone5 which will HOPEFULLY be innovative unlike the iPhone4S. Sprint will have to hold on for dear life until the 5 is released IF they truly did buy exclusive rights to the iPhone5. Really?? Lower than what they have?? You must shop at walmart if you want that low of prices. I buy my ammo at Wal-Mart... what's wrong with that? Didn't say anything was wrong, just cheap. its good for sprint as it kills a reason for people to leave. since none of the other sprint-iphone rumors turned out to be true, hopefully they didnt actually bet the farm. If they did then they are in trouble, as with the same phone being on the big 3 carriers there is little incentive to switch if you are happy with your carrier. So yea, it will stop some bleeding, but i dont think its going to be a big IV drip of new subscribers... maybe from Tmo customers running from the ATT merger, but thats probably where the bulk of new subscribers will come from. I so don't regret my EVO 3D purchase. Willing to take the minority stand here. I think this will end up being a long term good deal for Sprint. Yes, the iPhone 4S looks on paper to be a disapointment, and I am sure not swayed to look at Apple even a little bit. But, you can not buy name recognition, and having Apple products to bring people into the Sprint stores instead of having them run to AT&T or Verizon is more important. Apple will have to, HAVE TO, come out with a more powerful iPhone 5 in the next year if they want to stay in the lead dog postion, and Sprint will get to play with the big two when it comes out. If Sprint can get rid of the iDen network (what is taking them so long on that? It is a huge money pit.) and get an LTE network rolling at a pace that at least keeps up with AT&T even if Verizon is way ahead of them both, than this Apple gamble will add, not detract, from their future. Sprint has a ton of questions to answer, but at least they can answer them on a level playing field. They already have great relationships with Samsung, HTC, and Motorola, now they have Apple as well. They HAD to do it. They won't be in the lead dog position much longer. Samsung Galaxy S2's are selling like hotcakes. Then Samsung will definitely pull ahead with the Prime. I just saw a picture of it earlier today and wow, the people wanting a redesign from the iPhone can SURE AS HELL get it from the Nexus Prime. That thing looks AMAZING! There are tons owners of Android high-end phones on Sprint that no idea what they have. Most of them probably wanted an IPhone, but it wasn't available so they got an EVO 3D, Photon, or Galaxy S2 because it was closest to the IPhone. Plus, Sprint is gonna advertise the heck out of it especially if Apple is getting better kickbacks than Motorola or HTC. Trust me, the biggest display in the Sprint store will be the Apple IPhone while the superior Android phones sit on their little display pole with a small specifications tag next to it. That's the way it goes folks. For the average, the iphone 4s is a great phone, it has everything that want and need. I know many people who wanted to leave Sprint because they wanted an iPhone now they can stay with Sprint and still have their normal deal. So it is a win, win for sprint. Maybe they can get some Verizon or ATT customer who no longer have unlimited data to come over. Many of these people don't know what 4g LTE so why would they care. I think its a great move, at&t got huge because it was the only carrier to offer the iPhone at that time. Now Sprint can offer the iPhone with cheaper plans, (even better if a family moves to Sprint ). Now Sprint has the best line up with the best prices, only people who disagree are blind and can't see a lot of iPhone users are on other carriers and can NOW change over to Sprint and trade their carrier iPhone towards the purchase of a Sprint iPhone. Regardless if you hate the iPhone or not, it sells, and this will help get more people a option to switch to Sprint and get more bang for the buck. I want a Dell Venue Pro for the Sprint Network.. that or somethign similar in a WindowsPhone.. then I would switch from Tmobile. Being that I use to work for sprint the company has messed up every big phone they have gotten there hands on. We all remember the pre and who can for get the iphone killer samsung instinct. Working for big red now, seeing how great my coverage and service really sets them apart from the others. Yeah, sure it will stop the bleeding for a while but it won't get them out of the whole. apple is apple its going to sell I think its to late for sprint. Ya Ive had like 10 phones with Sprint. My timing again was perfect to jump on the Iphone bandwagon got another discount but settled with the EvoSHIFT which I love. I hope Sprint isn't betting there whole biz pretty much as reports say on the Iphone.. My friend whos had it even said ya they make good hardware etc but they lock you down as far as customization you have to you use your pc for most updates etc, music only through Itunes, & even apps that are free on Android like Vlingo which is great Apple charges for! So needless to say. I wont be joining the Iphone sheep anytime soon. & im sure alot of others on sprint who are happy w Android feel the same.. It appears that T-Mobile may have played it right by not getting the iPhone. Granted, they may not be a carrier long enough to even enjoy the spoils but at least they didnt take the chance..
Apple probably would have released on T-Mobile also if not for the whole buyout deal which is still pending. If T-mobile remains unscathed from the buyout and doesnt lose any significant number of customers, they will get an Iphone next year. Apple wants to meter the releases rather than just dump them on every carrier at once. Im sure it was probably originally planned for Sprint to get Iphone 4 at the same time that Verizon did, but for whatever reason didnt pan out with their sprint negotiations so they decided to just do Verizon for the time being. I do not believe that the acquisition of the iPhone line for Sprint will be able to save Sprint for several reasons. Granted, some of this is based on rumors and speculation and as yesterday proved, even "solid" sources can be wrong. The first and most obvious reason is cash. If the reports are true and Sprint has laid out roughly $20-30 billion to close the deal with Apple, they may end up only exacerbating their current cash flow problems. Couple this with their lagging network development and apparent lack of strategy and they could find a number of customers flocking to Verizon or ATT if a 4G LTE iPhone materializes next year. It is rather paradoxical in that they need subscribers to increase cash flows however the manner in which they are doing it is not profitable (trying to be the least expensive carrier) and if they attempt to change that model, they no longer have a clear competitive advantage. I believe Sprint will continue to deteriorate both in customers and in revenue, given the much larger lead that Verizon, and to a lesser extent, AT&T, have on them. I think next year ultimately will be Verizon's year given the explosion of LTE equipped devices combined with the shear size of their network that they will be able to operate on. FYI: Both AT&T and Verizon's primary growth has been through acquisitions as was Sprint's back in 2005 with their merger (purchase) of Nextel, albeit not as successful a merger as those of the aforementioned two! Anyway, when you compare, device portfolio, rate plans, customer service and spectrum available for the future, Sprint is poised to be a player in the wireless industry. And in fact a carrier that all U.S. customers need and should want to support because it will be Sprint that keeps our cost to wireless services down! Bottom line, getting the iphone is a huge positive for Sprint! As far as the investors/analyst that are saying "Sprint is betting the farm...", I don’t think so. First, they are not committing to 30 million 4GS version iphones, they are committing to buying $20 billion worth of iphones over the next several years, which broken down could be viewed as roughly 2.5 million a quarter for the next 4-years? Not unrealistic, with current customer base, high customer satisfaction scores and unlimited data plans. Finally, Sprint’s commitment to Apple will eventually include an iphone 5 or even a lower cost iphone 4 for their Boost Mobile or Virgin Mobile brands (probably VM), which would be another huge win for Sprint, being these brands open up an even larger pool of customers and can possibly be sold at price points that don't necessarily yield high equipment subsidies? In closing, Sprint will have to watch their budget closely over the next few quarters but the future is bright! I personally would have preferred Sprint spend that money on overhauling its network and worry about getting the Iphone later. I get a lot of customers complaining about coverage sometimes, and an Iphone wont appease those customers (I dunno, maybe it would, Iphone 4 had terrible antenna and its the single most popular phone ever, I guess iSheep are easy to please) but improved and expanded network coverage would help. It would also help if Verizon didnt purposely run their network on frequencies other than 800 mhz, which both them and sprint share so we can roam on each other's towers, Im shocked that Verizon's tactics of not living up to their roaming agreements with Sprint and other CDMA carriers hasnt been investigated by the FCC yet, something's gotta be illegal there. I think Verizon should be paying out billions in damages to Sprint and other CDMA carriers which have poor roaming coverage while they fully honor Verizon phones that gotta roam. I can't understand y in 2days ecomony people like myself who work hard 4 a check,would want 2 pay more for their plan than Sprint offers. Does it really matter if u drop a call if u can call back n it not cost u a thing? Just a question. 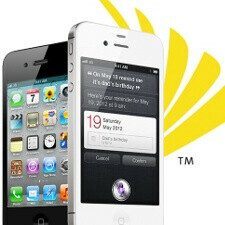 Now u can get ur beloved iPhone with unlimited data, 4 my money it's Sprint.